Video conferencing allows people at two or more locations to interact through two-way transmission at the same time. Video conferencing is also known as video teleconferencing or visual collaboration. Users require a computer, web cam, microphone, and a broadband connection to participate in video conference. They can generate natural conversations by seeing and hearing each other. Video conference of two persons is known as point-to-point while the conference of more than two people is called multipoint conference. Video conferencing is very useful way of communication because it saves money as well as time. People can do several business activities or meetings with two or more persons while sitting at office table. They don't need to go anywhere to meet someone. Basic requirements for video conferencing are guaranteed latency, synchronization and broadcast. It enables people to have face-to-face meetings from a wide distance. 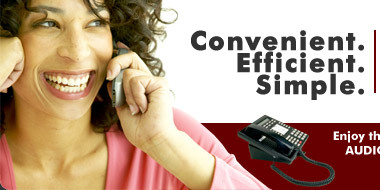 Prices of teleconferencing are generally less than costs of travel. It's an easy way to hold meetings, conduct interviews, give lectures and address employees. Video conferencing is the best way of communication in medical, legal and educational fields. Normally there are three ways such as computer-based system, desktop system and studio-based system to set up a video conference. There is a limited field of vision in Computer-based system that is why it is the cheapest way of video conferencing. Desktop system improves the quality of audio and video transmission due to dedicated hardware installed on the computer. Most expensive method of video conferencing is studio-based system that offers best quality conferencing. It is mostly used in large-scale companies and universities. Studio-based system is just like a room that is fully equipped with control systems, document viewers, overhead cameras, vision switchers and slide viewers. An organization, company, educational facility or individual requires some basic components to take complete advantages of video conferencing. Necessary equipment for video conferencing is camera that lets user to capture video information at his or her site and transmit to someone on the other site. Video display is used to display video at their site and a microphone to hear the audio material. Video conferencing terminals require a compressor/decompressor interface that helps in compressing the information while passing from audio to video to make transmission of materials sufficient over net. It is useful in sending the large files from one computer to another. Codec machine also works for decoding and encoding the useful information. A computer and high-speed Internet connection are essential for a successful video conferencing. High-speed Internet connection makes your video conferencing effective and interesting. Video conferencing is reliable and an excellent method of communication. Video conference can easily connect you with other companies. You can generate your business from one place and give instructions to your subordinates. It makes bright future for your business and institution. This pioneering technology keeps your company up to date. Video conferencing is currently an affordable way of communication. A large range of video conference units is available in the market. Buyers should check company expansion and system compatibility while choosing the best video conferencing unit.